"No, I call that "make ****"!" Acting not good enough? Sue me. "You want acting? Last night was acting." 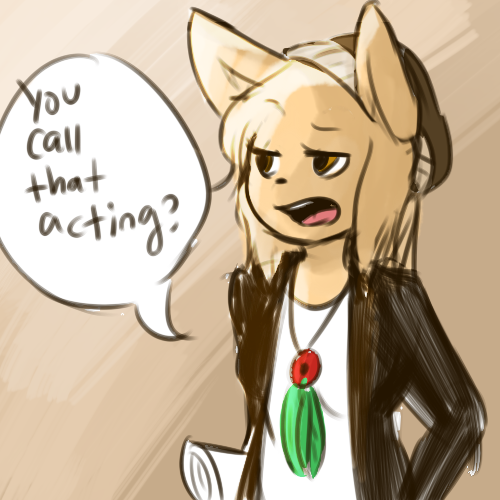 You call that acting? This is acting. Crap how did the emotes not work!! ?